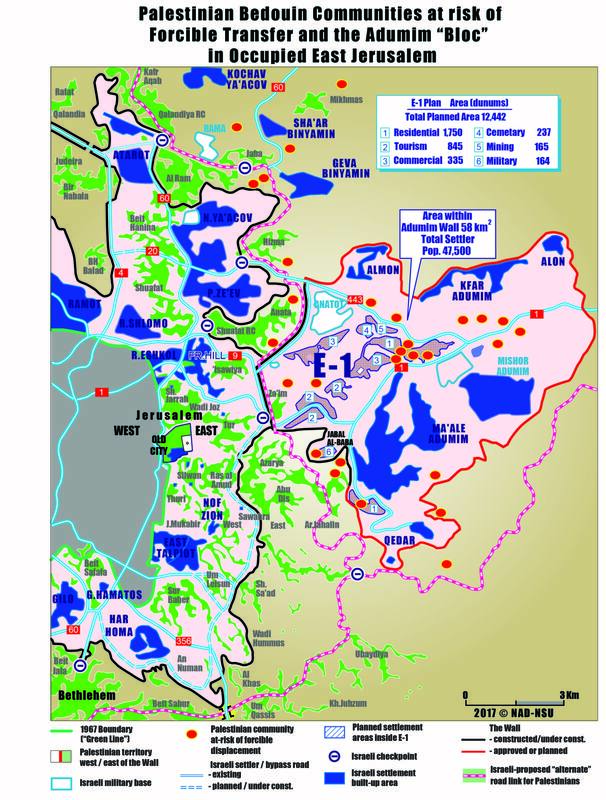 The danger of the “E1” settlement plan lies in the fact that it fragments the land of Palestine and blocks territorial contiguity between the north and south of the West Bank. According to the master plan that was approved in 1994, around 5000 housing units, 10 hotels, industrial and commercial zones will be built in the “E1” zone which will entail the confiscation of 12.5 square kilometers from the land of Al-Tur, Al- Issawiya and Al- Eizariya (Bethany). What is worse is that the “E1” settlement plan will divest Jerusalem of the last remaining territory that can secure the economic growth of the city and its expansion as the future capital of the State of Palestine.